Mary O'Hara Alsop, a writer of Wyoming ranch stories including My Friend Flicka. O'Hara was also an accomplished pianist and composer. She composed a folk musical, called Catch Colt which means a child born out of wedlock. This Novella of a folk story is of young love, between Letty and Joey (the Catch Colt, he does not have any family, states he is a loner, and figures his age to be 20). Letty's father does not want Joey to be with his daughter. He wants her with a well educated young man that he has picked out for her, the foreman Hank (who turns out to be jealous and vengeful of Joey). Letty has fallen for Joey at first sight, literally! Letty believes in her heart they are meant to be together and it has always been that way, but her parents do not think he is fit for Letty. It turns out at the end that Joey is Windy's grandson but is discovered first by the family dog and by the family Bible. Letty and Joey.One of my favorite tales of Letty is while she is growing up she used to hide in the hayloft between bales of hay to read her books. I love this part about her.The book is written for young tweens and coming of age readers. Very charming story set on a cattle ranch, a beautifully written tale with wonderful descriptions of the Wyoming countryside as vast, silent, empty and a secret of a hidden world of incredible beauty. 3.5 stars. If you can bear with a textbook case of love-at-first-sight, this is a rather sweet story. It was novelized from the author's stage musical, which probably accounts for the slightly sketchy and bare-bones feeling of the text—I would have liked seeing it a bit longer so a lot of the characters could have been better developed. 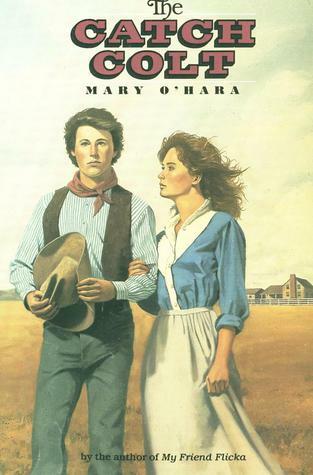 What really shines through is O'Hara's love for Wyoming, captured in the brief but vivid descriptions of the landscape and what it means to the people who made their homes and lives there. Novelisation of a musical. A simple sweet plot. Short book. Sweet romance for young girls, to simple for adult reading.